When I moved to Manchester, the boyf went straight to work and so I was left alone to get reacquainted with my birthplace for 6 weeks before I started University; Manchester Central Library became my living room. The library is a kind of tradition within my family, my mother attended a Catholic Convent Grammar in Manchester in her schooling days and would complete her homework in the reading room before the 3 or 4 buses back home every night. For me, the library was a source of comfort in a city I barely new, and a source of free internet access in a time when I hadn't got round to getting the flat hooked up. After dropping the boyf off at work, I would leave the car, stroll the streets and take it all in, with a daily trip to browse the library's dusty shelves, scan the endless mico-films of old newspapers and even brush off advances from horny Nigerian gentlemen who "want to get to know friends," and would ask me "how much you are?" Manchester Central Library is a charming and inspiring place that, if we're all being honest, had got a touch shabby in places. Well, after all, she is an old girl. 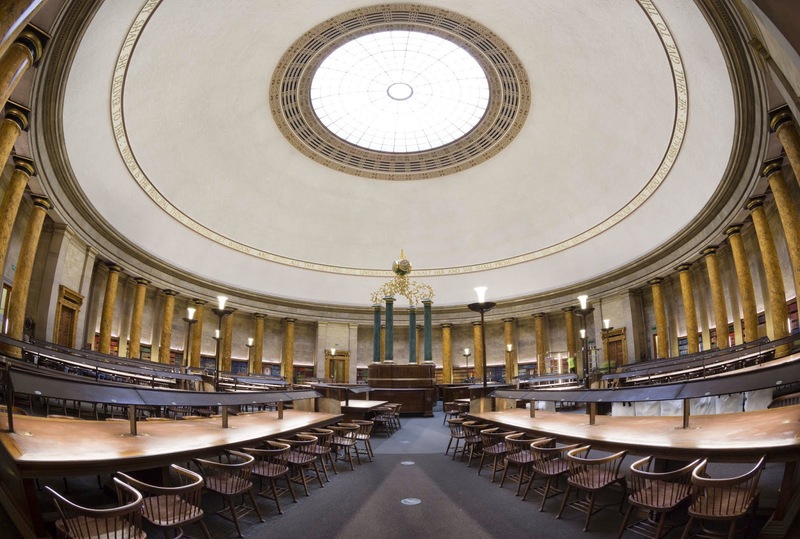 Since 2010, the great hallowed halls of Manchester Central Library have been closed tight, whilst inside, a £48million regeneration project took place, to bring the library back and reinstate it as one of the foremost public libraries of Britain. On 22nd March 2014, the library doors will open again and to mark the occasion the library are asking all Mancunian mothers-to-be, that just so happen to drop on the 22nd March, to hurriedly send in snaps of their babes for inclusion within a collage of newborns that will be on exhibit within the library. If you're interested in finding more about what the refurbished library has on offer, click here.